Prosecutor raised concerns about how many hours the Grammy Award-winning singer had completed. 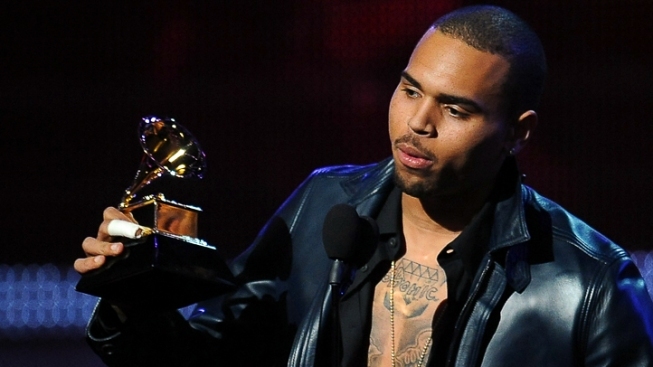 Singer Chris Brown, pictured here at the 54th Grammy Awards, is on probation for the 2009 beating of his then-girlfriend Rihanna. Chris Brown is scheduled to return to a Los Angeles courtroom for the first time in more than a year amid questions about his community service. The R&B singer is on probation for the 2009 beating of his then-girlfriend Rihanna and had been ordered to perform six months' worth of community service, including graffiti removal, roadside cleanup and other manual labor. Brown has completed his terms with praise from a judge, however a prosecutor raised concerns about how many hours he had completed. The singer has received praise from a judge overseeing his probation for the 2009 beating of Rihanna, but an audit of his community service was ordered in July. Brown was also ordered to appear in court for a review of his probation on Monday.